We BELIEVE that we are a community, who follow Jesus, conscious that we make the journey with each other, within our Parish and beyond. We GATHER from the local community as a welcoming people, who worship, work and celebrate together. We INVITE all to share their gifts and to participate in parish life at all levels. We NURTURE faith, hope and love in the lives of all people. We PROVIDE opportunities for on-going education, times of prayer and retreat, mutual support in times of joy, sorrow and celebration. Bless. 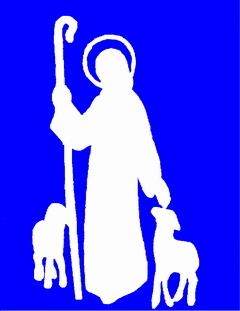 O Good Shepherd, This our parish. Our lives may be pleasing to You. And provide for the needs of our parish. AMEN. 1967 Mass was originally celebrated in the Notting Hill Hall. Father Leo Ryan built the Parish Church/Hall where the first Mass was celebrated in December 1967. 1968 In January, Father Thomas Foynes was appointed as the first Parish Priest (1968-1971) and first school building completed. 1969 Grade 4 children were bussed here to school from St. Leonard’s, Glen Waverley (our parent parish). 1970 Good Shepherd School officially opened with classes from Grade Prep to Grade 3. 1971 Father James Feenan was appointed to replace Fr. Foynes, as the second Parish Priest (1971-1973). 1973 Father John Cunningham replaced Fr. Feenan as third Parish Priest, (1973-1980). 1975 Father Frank Bellett was appointed as the parish’s first Assistant Priest (1975-1979). 1977 Parish Church/Hall extensions were completed; they were officially blessed by Bishop John Kelly. 1979 Father Barry Caldwell replaced Fr. Bellett as the second Assistant Priest (1979-1982). Deacon Des Moloney assisted in the Parish until his ordination in August. 1980 Father Patrick Maye replaced Fr. Cunningham as fourth Parish Priest (1980-1994). 1982 Father Kevin Burke (1982-1985) replaced Fr. Caldwell as third Assistant Priest. 1984 St. Justin's School commenced, operating out of classrooms at Good Shepherd and using the School House in Academy Ave (next door to Hall). 1985 Father Gerry McKernan became the 4th Assistant Priest (1985-1986). 1986 St. Justin's Parish was annexed from Good Shepherd with a nucleus of 673 former Good Shepherd families on 26th January, 1986. Fr. Michael Wheeler, first Parish Priest. 1989 Fr. Vincent Arthur "retired" from the Parish of Spotswood and became the Parish's fifth Assistant Priest (1989-1990). Official Opening of the New Church 3rd March 1989. 1991 Fr. Frank O'Loughlin (1991-1994). 1993 Parish celebrates its Silver Jubilee on March 27/28 with a Dinner Dance & Open Day. 1994 Fr. Wlodzimierz (Vladimir) Sobolewski, C.R. (1994-2000) became our next Parish Priest on Wednesday, 19th January. Fr. Mirek Knap, C.R. appointed Assistant Priest (18 August 1994 to 28th January 1998). 1998 Fr. Kazimierz Trawicki, C.R. replaced Fr. Mirek as Assistant Priest. Official Opening and Blessing of Refurbished Hall. 2000 Fr. Vladimir Sobolewski, C.R., left after 6 years as Parish Priest, to work in Bermuda. Fr. Kaz Trawicki will continue on as our new Parish Priest. 2001 Fr. Mirek Knap, C.R. returns to work as Assistant Priest in the Parish. June 25th - First Ordination in the Parish: Christian Fini ordained at Good Shepherd Church. 2005 24th April Archbishop Dennis Hart officially blessed the opening of New Staff Room and renovated classroom block in the School.